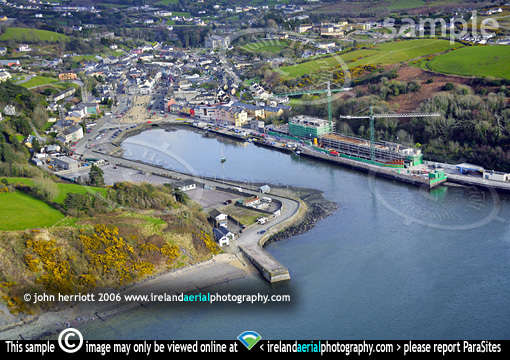 Aerial library photo of Bantry town, West Cork 2006. Photography by John Herriott. Photographed following our heli lift off from Bantry airstrip and overflight of Whiddy Island. Bantry seems to be undergoing a facelift with new buildings being built by the approach road to the town.